USANA, word! : Fab fibre - are you getting enough? Fab fibre - are you getting enough? Most of us associate fibre with its constipation-preventing, intestinal health-boosting effects. But there are so many other benefits that come with getting enough fibre! For example, did you know that it can also help to combat heart disease which is still the number one cause of death in Australia and New Zealand? And, did you know that raising your daily fibre intake to meet the recommended daily intake could help you reduce the risk of stroke, too? The indigestible parts of plant foods, the parts of plant cells that give them structure are fibre. Fibre used to be called roughage but it isn’t rough at all. And, technically speaking, fibre isn’t a nutrient either because unlike fats, proteins and carbohydrates, vitamins and minerals, it doesn’t get inside your body cells. Fibre remains in your gastro-intestinal tract and that’s where it does all the good work. For example, fibre helps to keep you fuller by filling out your stomach along with liquids, whilst lingering there. This full-stomach feeling signals to your brain that you've had enough to eat. Later, fibre travels to the large intestine and here friendly bacteria ferment it, helping them to flourish. These healthy bacteria are am important part of your immune system. Once fibre reaches your large intestine, it travels quite quickly helping to speed the passage of waste products efficiently out of the body.﻿ Allowing less time for nasties in the waste products to come into contact with the lining of your intestine. The refining process strips grains and cereals of their outer coat (the bran) and that's where most of the fibre, B vitamins and iron are concentrated. The same thing happens when you peel the skin from fruits and vegetables. So if you prefer refined foods to their wholegrain cousins, you could be consuming less fibre than you need for good health. Plant foods such as vegetables, fruits, whole grains and seeds are great fibre providers. So, if you favour processed foods (made from white or refined grains) rather than whole grains, you may be a little short. In fact, the average Australian is around 10g short of fibre according to the Dietitians Association of Australia. But getting enough fibre is so important In countries with traditionally high-fibre diets, conditions such as coronary heart disease, bowel cancer and type 2 diabetes are much less common. Certain types of fibre hold onto cholesterol and can help lower cholesterol levels reducing risk factors for heart disease, including high blood pressure and high levels of ‘harmful’ cholesterol. This kind of fibre is soluble fibre and it works by binding to bile acids (which are used to make cholesterol) in the gut. You could say that they soak them up, a bit like a sponge. And this helps to prevent your body from reabsorbing the ingredients that make cholesterol so that there is less to go around your body. And, one recent study also found that getting enough fibre could help to protect against stroke. A stroke occurs when a blood clot blocks a blood vessel to the brain. It can also happen when a blood vessel bleeds into the brain. Stroke is the world’s second-leading killer and causes disability for millions of people worldwide. The UK-based study showed that consuming just seven grams more fibre every day could cut an individual’s chance of a first stroke by seven per cent. 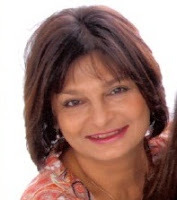 Writing in the May issue of the American Heart Association journal Stroke, the researchers pooled the results of a number of studies conducted worldwide over 12 years, to come to the fibre connection conclusion. They found adding just seven more grams per day could help the blood vessel protecting effect. For example, opt for a serving of whole-wheat pasta plus a piece of fruit and a serving of tomatoes. Nuts, seeds and high fibre cereals are tasty sources of fibre, too. Most Australians consume around 18–25 g of fibre daily and the Heart Foundation recommends that adults aim for around 25–30g daily. As well as increasing your fibre intake, getting into a healthy weight range, eating more omega-3-rich oily fish, reducing saturated fats, cutting down on salt (especially if you already have high blood pressure), not drinking too much alcohol (which can raise your blood pressure), exercising regularly and stubbing out the smoking habit can help to keep your blood vessels healthy. Remember, if you want to increase your fibre intake, do it gradually though. This can help to prevent abdominal discomfort by allowing your body time to get used to the change in your diet. Also, fibre needs water to work, so make sure to drink enough water. 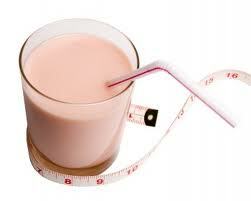 Increasing fibre intake and fluid is especially important with age as your digestive system gets less effective. 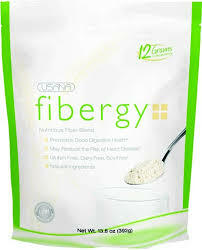 USANA’S Fibergy Plus can help bridge the gap and provide the fibre your body needs. It's a flavourless fibre blend and just one tablespoon provides 12 grams of soluble and insoluble fibre – that’s more than twice the amount of other fibre products on the market! It is formulated using natural ingredients and without added gluten, soy or dairy. • Contains psyllium, a rich source of soluble fibre and a bulking agent. • Contains the prebiotic inulin which promotes provides food to help beneficial bacteria such as bifidobacteria flourish in the digestive tract. This helps to support your immune defences. To use, mix 1 level tablespoon (14g) of the flavourless powder into 290-340 ml of water; or stir two heaped teaspoons (approx. 7g) with USANA Nutrimeal™ for an extra filling meal and enjoy! with a little added Fibergy Plus™ ! CAUTION: This food should be consumed by adding it to at least a full glass of liquid. Consuming this product without enough liquid may cause choking. Do not consume this product if you have difficulty in swallowing. If you are taking any medications (prescription and/ or over-the-counter) take this product at least two hours before or two hours after your medication.